Hazel wonder woman from Team 4 Pes on Vimeo. This is my wonder woman movie and there is robots attack the city.And wonder woman saved the city once she going to save the next city and the best part when she defeat the robots. WALT add detail to simple sentences. 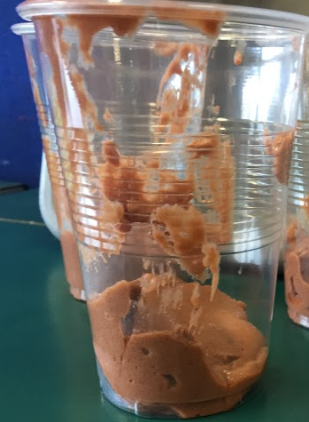 The moose taste delight i put my finger in the cup and i do not know what it taste like.When i dip my one finger in it taste slimy and it is chocolate but it taste so slimy. Esther put on the bandana on my face she gave me the cup and i start dip my finger in the cup. no-It should not been shot It is the parents they did not hold the child.And the little boy didn't hold the parent's hand and he should be told.The little boy should not climb the fence and be told not to. Some lunch.when he saw the news it was doctor slight was hold the woman.Doctor slight drop her ‘by’ ‘by’ said doctor slight.The flash was going to races to save her doctor slight went to stop him he we to put light on the flash he went and do his comic boom lighting to slow him down he went speed to the further to see what happened.The flash went back to save he went so speed to catch her he got her she said ‘Thank you’ said the woman.